By Amid Amidi | 10/03/2018 2:09 am | Be the First to Comment! 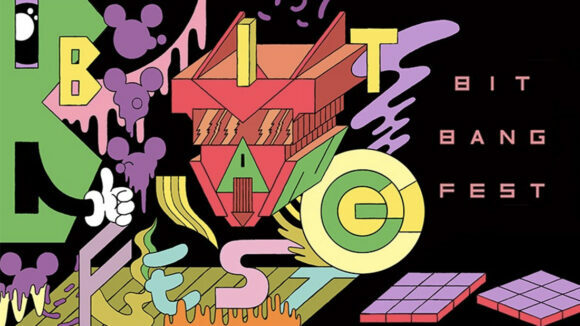 The fourth edition of Bit Bang Fest, a multidisciplinary celebration of animation, video games, and digital art, starts today in Buenos Aires, Argentina, and runs through the weekend. The event, under festival director Bárbara Cerro, has grown significantly since we first wrote about it a couple years back and now includes masterclasses, seminars, conferences, and workshops, in addition to production labs, spotlights, retrospectives, illustration contests, installations, exhibitions, game jams, and other events. 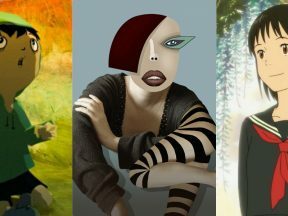 A special installation dedicated to the history of Argentinean animation and video games will also take place this year. The festival will introduce a competitive film program for the first time, presenting animation in six different categories: international short films, Latin American short films, international student shorts, Latin American student shorts, Latin American series, and video clips. Animation jam marathon: Groups of four will produce animation over an 18-hour session. The marathon will be divided into different stages – scriptwriting, character design, background design, animation, and post-production – with different teachers and tutors for each stage. A performance by the demoscene group Pungas De Villa Martelli, combining 8-bit music with PC and Commodore 64 installations. A panel of Latin American animation festivals (Anima Latina, El Ventilador, Cartón, Anima, and others) debating the current film industry and ways that festivals can collaborate with one another. Women Animators Meeting: A screening of shorts created by women, followed by a discussion with leading Argentinean women animators and filmmakers. Educational workshops: creating fantasy scenarios by comic artist Salvador Sanz, experimental animation with Mariana Mallo and Damián González Flores, and cut-out stop motion with Moco Studio. For more details, visit BitBangFest.com.